Can you confirm these amateur observations of Plestiodon chinensis? daishanensis: China (Daishan); Type locality: Hengle shan, (an islet near Daishan I. ), Daishan County, China. pulcher: China; Type locality: China. Types Holotype: BMNH xv.54a, but said to be unknown by Sang et al. 2009. 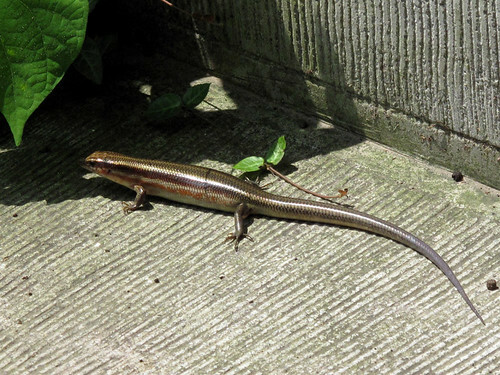 Comment Plestiodon chinensis formosensis is paraphyletic with Plestiodon chinensis chinensis and needs to be redefined (Kurita et al. 2017). Etymology Named after its distribution in China.